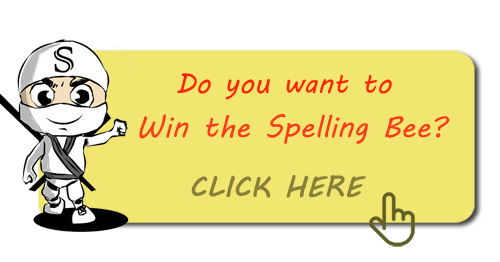 You will find here plenty of useful spelling words list organized by student grade and other interesting criteria. In the next brief paragraphs, I will give you an overview of what you can find on this website. I appreciated the simple yet practical design of the website, with side menus everywhere that make resources very easy to reach out, most of the resources are at most two clicks away from every other page in the website, this is what I call ergonomic. It feels like landing to an honest, content-oriented, educational website, my idea of how every website should be: clear, practical, providing REAL VALUE to users, focusing on the real things rather than on hype and eye candy. Content is what this website is about: plenty of spelling lists, games, e-books, printable cards, resources and spelling bee hints, tips, and tricks for preparation, it is very difficult to find a website with such a lot of content, so well organized and ready for use for everybody. A real value brought for free to students worldwide. I really appreciated that. Spelling word lists are immediately accessible here, Spelling Words Well doesn’t bother users with forced subscriptions or sneaky tactics to get into your inbox or similar, yet there is a newsletter subscription box at the bottom of some pages but it’s totally a user’s choice whether to subscribe or not, it is stated loud and clear that the users’ addresses will be only used to send eventual Spelling Bee related newsletters and nothing else, and non subscribers ain’t limited in any way in accessing to the main website contents. My overall sensation was that the website is more than trustworthy. Even more important is that the lists are carefully crafted by educators who know their job, they are not just words lists thrown on the table. This makes spelling words well the best source so far for words lists to be directly imported into the Spelling Bee Ninja study list. 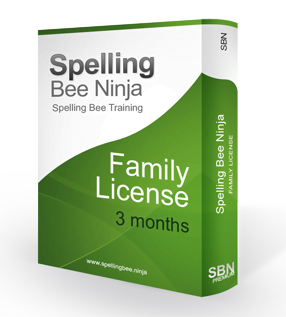 Many interesting spelling games and quizzes are also provided for the younger ones. A section is dedicated to a comprehensive e-book selection written by Ann Richmond Fisher, the main website editor, and best selling author. Here are the titles available as listed on the website. These are not free books, they come at very reasonable prices, more important they are all available in paperback version. Among all the spelling books contained in the book section, a particular mention goes to the Spelling Bee Toolbox(es), as it looks like one of the most interesting books on spelling bee around. Again, a very important thing is that the Spelling Bee Toolboxes books series are also available in hard copy, it is possible to order them through Amazon. This brings along all the advantages given by a real book compared to electronic versions. A great website, useful, full of accessible self-service spelling training contents, made by people of good will focused on user needs more than on the business side. Wish to have more of that kind online. Strongly suggested. A resource you cannot ignore if you are preparing for the spelling bee or if you want to improve your spelling skills.